The hybrid model has two types of finishing: $ 49 325 will have to be paid for the Limited and $ 51,815 for the Limited Platinum. They do not include anything supernatural; only seat mats, trunk mat, footrests and other minor additions. Our test Limited Platinum costs some $ 53,700. The center of the Highlander Hybrid system is a 3.5-liter Atkinson cycle engine, which is based on the V6, combining three electric motors — one in front and one in back, and one for starting and recharging the battery. State fuel consumption figures for the city are 8.4 / 8.7 liters per 100 km, for the highway 8.4 liters per 100 km and with a combined cycle also 8.4 liters per 100 km in a model with any trim level. The power of a continuously variable transmission is enough to power a seven-seater car weighing more than 2 tons and accelerate to 100 km on average in 7 seconds. The updated model has become wider and 7.5 cm longer, although this five-meter car drives a 2.7 m wheelbase from the Camry. An additional 25 cm in length, 15 cm in height and 10 cm in width compared to the first-generation model allows us to truly appreciate the scale of the Highlander improvements. 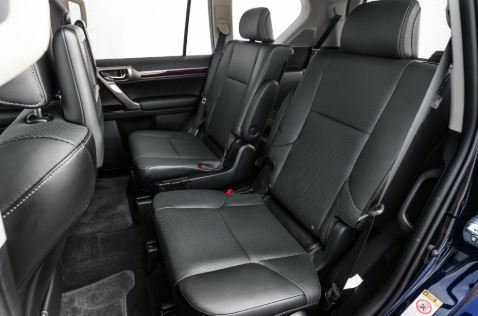 Inside, however, there was a lot of pleasant things, the original finish of leather seats, the presence of a large number of pleasant to the touch materials interspersed with more practical plastic materials. The free space inside will probably meet your expectations. All four seats of the first and second row are quite spacious and include holders for bottles and glasses of large volume. The third row is mainly intended for children or miniature adults. The seats can be pushed forward and reclined. Fold them up and you will understand how much space there should be in a pickup. The maximum load capacity is 2.3 m3 with the second and third rows of seats folded down. If you fold the seats of the third row only, then 1.2 m3 will remain or if the seats do not fold at all, then 0.4 m3, which is 34% more than in the previous version. 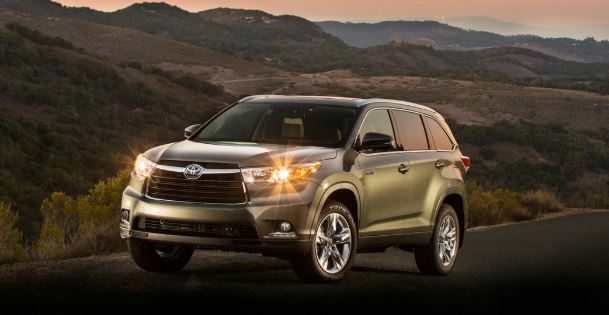 Toyota Highlander Hybrid will be the ideal option for those who need seven seats and a lot of space in the car and who first of all would choose a fully equipped model of all-wheel drive Highlander or any other high-end SUV. Indeed, the price of Toyota’s hybrid models is not small, but this is a kind of deal, since it will be possible to use all the technologies, including all-wheel drive, which does not require a drive shaft.